Over 3.5 million years ago, early human ancestors first stood up to walk on two legs. 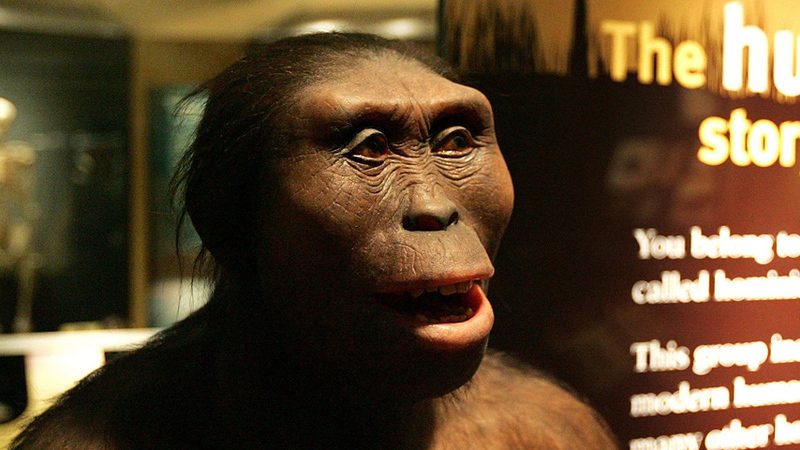 But what caused the evolution of bi-pedal ape-man? 8 million years ago, Africa was home to the tree living ancestor of Australopithecus afarensis – the bipedal ancestor of modern humans. 8 million years ago the ocean floor expanded, pushing the Earth's crust north to form the Himalayas. Over tens of thousands of years, the monsoons over Asia caused global climate change leading to the desertification of Africa. Man's tree-swinging ancestor was forced onto the ground and to walk upright. It's 3.5 million years ago and in East Africa a remarkable species of ape roams the land. After millions of years of evolution Australopithecus afarensis has taken the first tentative steps towards becoming modern man by standing and walking on two legs – they have become bipedal.